Home » Diet » Top 5 Health Benefits of Chicory! Chicory (also known as endive) comes from the dandelion family and can usually be recognised by its bright blue flowers. You can actually enjoy the entirety of the chicory plant! First off, the leaves are often eaten raw in salads but can be cooked to reduce their famously bitter flavour. 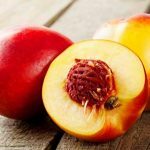 Although the leaves can make a tasty addition to a meal, the real health benefits lie within the roots. They are normally roasted and ground and due to being naturally caffeine free, are often used as a coffee alternative. Consuming chicory root is a great way to boost your fibre intake and is often used in high fibre and gluten-free products. Read on for our Top 5 Health Benefits of Chicory! A large amount of chicory’s dietary fibre content is made up of the prebiotic fibre named inulin. Being a prebiotic, it’s highly fermentable by the friendly bacteria in your gut. It can help promote the growth of helpful probiotics in your digestive system which are needed to keep your gut, brain and body healthy. The dietary fibres, oligofructose and inulin, aid in the regulation of the hormone ghrelin. Ghrelin travels through your bloodstream and to your brain, where it tells it to become hungry and seek out food. Therefore, eating chicory, helps you reach satiety and perhaps in the long run contributes to weight loss. Studies show that the roots of this little blue plant can help fix this common problem. Eating 15g of it daily shows improvement of constipation, thanks again to its high inulin levels. 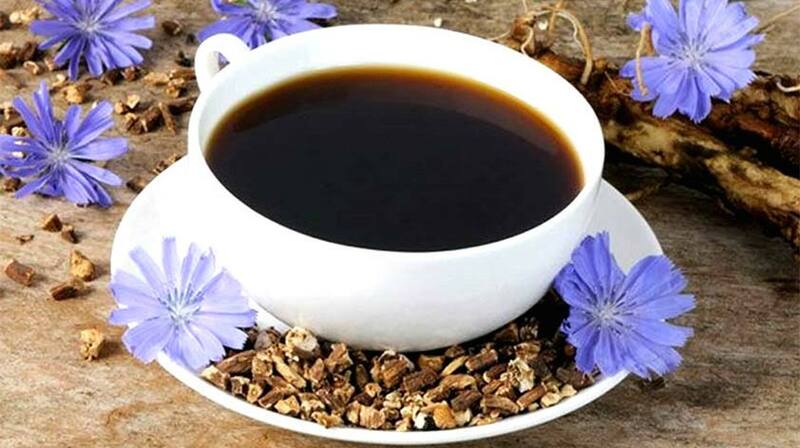 Chicory root can increase the flow of bile. This helps break down fat which relieves your liver and gallbladder of pressure therefore supporting your digestive system. Chicory root can increase levels of adiponectin in the body. Adiponectin is a hormone that regulates blood glucose levels. This may help delay or even prevent the onset of diabetes.